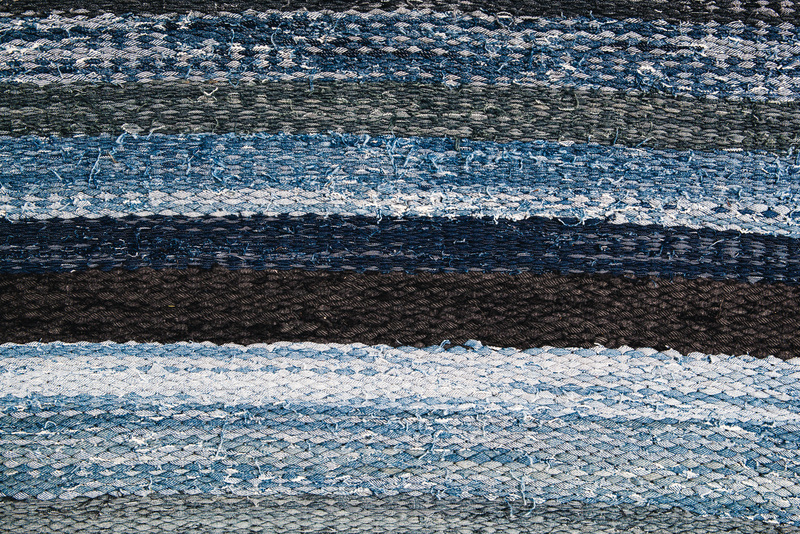 Give your floors a special treat and bring cool shades of blue into your home with this unique rug made by recycled denim jeans. 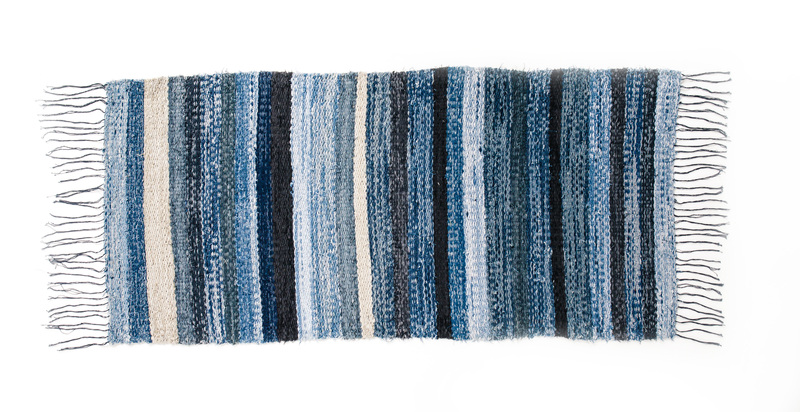 Due to the use of recycled fabrics all of our rugs are individual and you will never come across the exact same design. 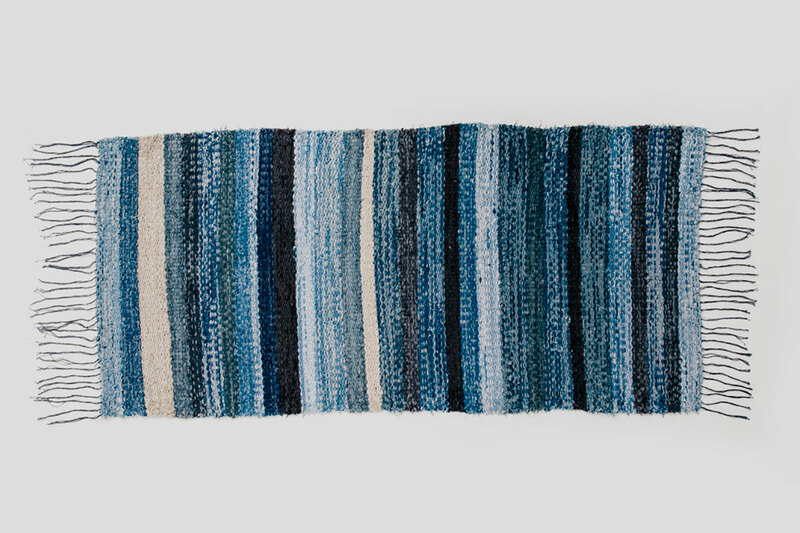 Local women who all struggle with various health issues make the rugs. Through their work they receive, in addition to a fair living wage, coverage of medical expenses. Since the product is made from used jeans, expect irregularities in the colour. The colours you see in this picture is not necessarily what you can expect, but we try to ensure that all products are beautiful. This is a product that slightly changes as you use it.